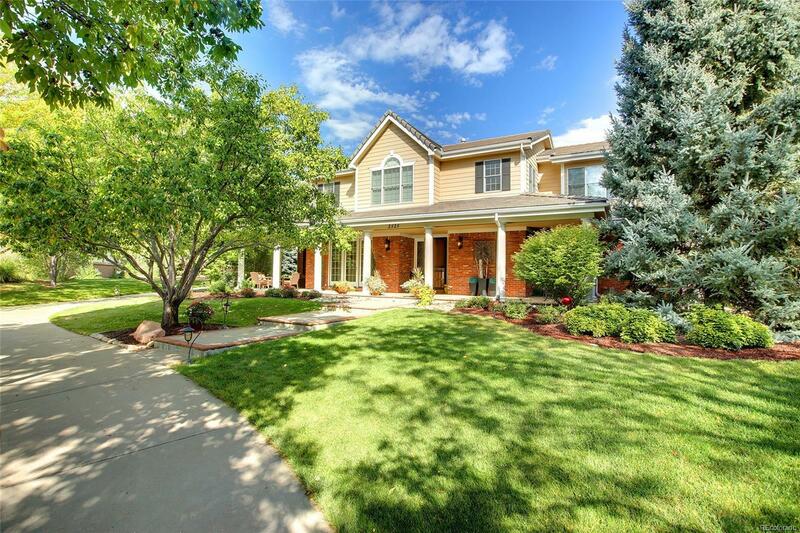 The approach to this Greenwood Village home provides a country setting among other acreage properties. The private 1.39 acre grounds is filled with mature deciduous and evergreen trees. A circular driveway leads to the front of the home and its covered front terrace with multiple sitting areas. The expansive Entry Foyer with high ceilings is open to the spectacular Great Room, Dining Room and Library. Thereâs an 800 sq ft bonus room/home office that kids will love! A large Country Kitchen with center island has slab granite, stainless steel appliances, two dishwashers and a handsome copper-clad fireplace. The Master Suite provides luxurious features and space with lots of windows and a double-sided fireplace to the Master Bath. The five piece Master Bath features a steam shower, heated floors. In the basement is a large flex-space and a theater with a 135 inch diagonal screen and ceiling mounted projector. Four car Garage!